We are proud to be designated as the first Technical Partner of ResourceSpace. ResourceSpace open source digital asset management software is the simple, fast way to organise your digital assets. 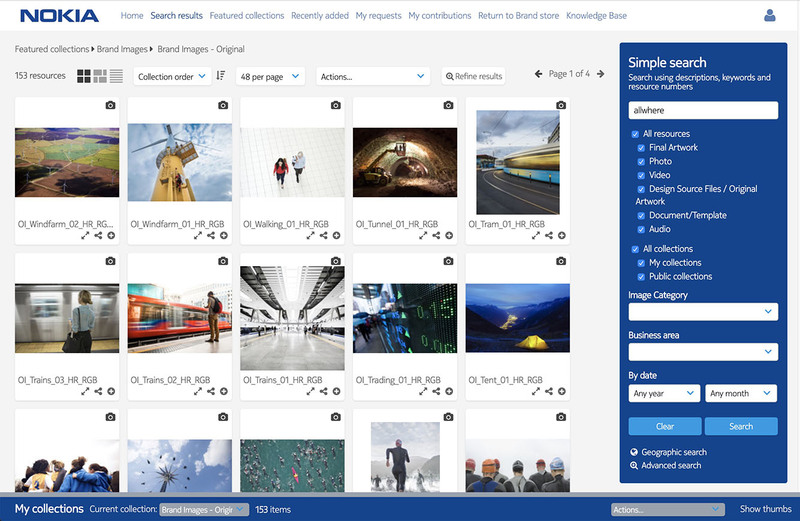 ResourceSpace is the web-based Digital Asset Management software of choice for leading commercial, academic and not for profit organisations, offering a convenient, productive and easy to use solution for organising and sharing files. We help organisations improve efficiency, encourage collaboration, and free up time and resources. Fully customisable to best meet the demands of your business and packed with highly beneficial features, ResourceSpace is open source software, meaning that there are no license fees to pay and no vendor lock-ins. ResourceSpace has grown over the years with thousands of businesses and individuals making use of the software. It is actively maintained by a strong developer base and an active and helpful community. Brand portals – Replace your PDF brand guidelines with a simple and engaging way to distribute and manage your brand information. Incorporating ResourceSpace as part of the solution, our Brand portals allow Brand and Marketing teams to communicate their Brand information across the world while controlling access to audience specific information and always ensuring users of the brand have the very latest guidelines to hand. Resource management and migration – We help marketing and brand teams manage the content being contributed to ResourceSpace and implemented on Brand portals. We provide training on how to manage content as well as running content migration projects to help you move all of your existing assets into ResourceSpace. Website and integration – ResourceSpace offers an extensive API that allows us to help you integrate your digital assets into your website or other systems. Create a searchable gallery or even deliver sales through your site directly from your ResourceSpace assets.